Receive a free quote from your local travel agency within 48 hours by e-mail. 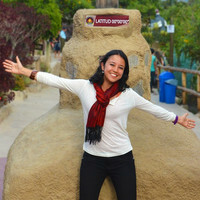 Silvia is our Destination Expert in Ecuador. "Silvia was super friendly and responsive and always willing to work with me as my itinerary kept cha...". "We contacted Silvia in April of 2018 regarding a trip to Ecuador and Galapagos. Silvia is a dedicat...". "Silvia was amazing to work with. Incredibly responsive and friendly - as well as informative.". Enjoy endless adventures this 10-day Ecuador tour! Not only will you get the opportunity to venture around the picturesque historic center of Quito, but you will also find yourself on the equatorial line at the Middle of the World. But the fun doesn't end there! Board the Galapagos Aqua, the ideal boat for divers and adventure lovers of all ages! It offers a unique liveaboard diving safari, including the best diving sites in the archipelago. Dive at Bartolome, Cousin's Rock, Wolf Island, Darwin Island, Vicente Roca Point, Cape Douglas, and Roca Blanca. Finally, visit the Twin Craters and see giant tortoises! Today you'll arrive to Quito, one of the highest capital cities in the world! The views surrounding this magical city will surely make you want you to start your holidays straight away…. but take it easy because you'll need to acclimitise to the high altitude. Upon arrival you will be transferred from the airport to your hotel in the Andean capital. Your tour begins in the historical center of Quito! See the San Francisco Square, where indigenous merchants from Otavalo sell ponchos, alpaca sweaters, gloves, and other textile goods, the Plaza de la Independencia, Quito's main square, where you can admire the Metropolitan Cathedral, the Jesuit church of La Compañia de Jesús, and the pedestrian street of La Ronda, probably the most authentic in the historical center. The Panecillo hill offers panoramic views of Quito, its incredible location, and surrounding volcanoes! Then to the Middle of the World, the painted equatorial line is a popular spot for memorable photos. Physics experiments explain gravitational effects on the equator and you can try some of them yourself! Next door is the Inti Ñan Solar Museum. It is dedicated to the ancestral worldview of various ethnic groups. Upon your arrival at Seymour Ecological Airport, a check-up is carried out first, to ensure that no foreign plant or animal species are introduced to the islands. Furthermore, your TCC (Transit Control Card) is stamped; this must be kept safe during your trip, as it has to be presented again on your return flight. Your guide will meet you at the airport and assist you with the luggage. He will also accompany you on the short bus ride to the harbor of Puerto Ayora. Here you will climb aboard the yacht. After greeting the crew and the captain, your cabins will be assigned to you and then you will enjoy your first lunch onboard. Begin your adventure at Baltra Northeast, a dive site for adventurous divers looking to see fascinating lava and rock formations, as well as an incredible number of marine species. Located east of Santiago Island, this small island is known for its unique spear-like pinnacle. You have a good chance to see pelagic animals. You can expect to see some of the following marine life: seahorses, white tip reef sharks, reef fish (including large schools of hunting yellow tailed surgeonfish), barracudas, turtles, mobula rays, sting rays, scorpion stone fish, and various invertebrates. Next, dive the Cousin’s Rock, located near Bartolome. This site has a unique and stunning topography of jagged rocky shelves where animals, both big and small, can be found resting and feeding. It is one of the few places where you can see endemic black coral amongst the riot of colorful clams, algae, flora and fauna that cover the rocks like splashes of paint. 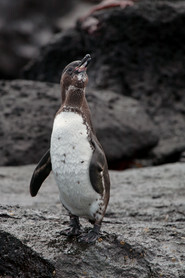 Look out for penguins during your time on the surface, and you might also spot some sea lions. Today you will go to Wolf Island. Named after the German geologist Theodor Wolf, this extinct volcano rises above sea level and lies northwest of Isabela Island. Land visits are not permitted, however, bird life such as red-footed boobies and vampire finches may be spotted from the boat. Darwin is a volcano named in honour of naturalist Charles Darwin. It is amongst the smallest island within the Galapagos Archipelago and like Wolf Island, no land visits are permitted. One of the most famed diving sites is “Darwin’s Arch”, which provides an amazing drift dive along the wall at an average depth of just 9m. Medium to strong currents are to be expected, but you bring with them many hammerheads, black tips, silky and Galapagos sharks! Schools of jacks are a common sight, along with turtles, angelfish and moray eels. Occasional sightings of tiger sharks, manta rays and bottlenose dolphins make for a thrilling time. Whale sharks may also be seen between May and November. Visit Wolf Island again, where you'll have another opportunity to diver from a selection of reefs and walls. Most have medium to strong currents, where the use of gloves and reef hooks is advised. Schooling pelagics are the main attraction, but you can also see hammerheads, white tips and Galapagos sharks in the sites (May-November). We will cross the Bolivar Channel for the last time to Vicente Roca Point, just at the mouth of Isabela’s seahorse-shape. While entering a dark cave below a spectacular arch, you're accompanied by the roaring echoes of the waves. Just around the corner, the collapsed amphitheater of Volcan Ecuador offers another impressive view. The calmer waters of the coves are well-protected against the ocean swell and are a great place for snorkeling amongst various species of shark, penguins, puffer fish and even seahorses! Cape Douglas is sure to provide you with amazing opportunities to observe a large amount of marine life, above water and underwater! As you prepare for your dive you can see Galapagos penguins, Galapagos flightless cormorants, and Galapagos marine iguanas — animals found exclusively on the islands. 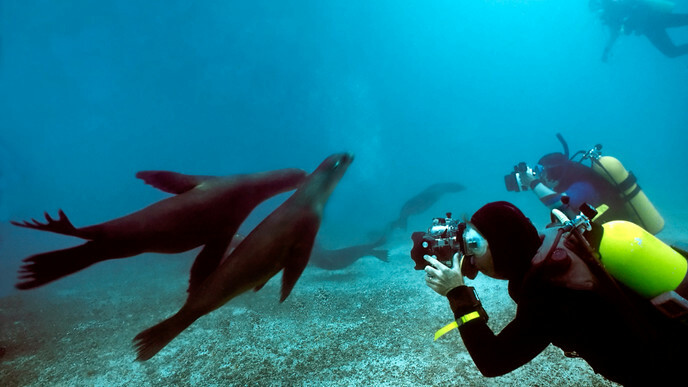 For divers, Roca Blanca is a mecca for sea life. Located on the southeast coast of Isabela Island, it’s one of the best diving sites in the central islands. Due to the cooler waters in the central islands, there is a huge diversity of marine life. You will get to see amazing life here, such as shark, manta & eagle rays, sea lions, moray eels, lobsters, and a vast population of tropical fish. It is a great spot for beginners and experienced divers, offering many playful sea lions, turtles, and red lipped batfish. The deep drop off wall is for more experienced divers, and it's a great spot to see sea horses, rays, different species of sharks, and lobster. In the warmer months, Pinzon is a favourite site for manta rays and pods of dolphins. Head to the island of Santa Cruz, where you'll be exploring the highlands. The road leaves from Bellavista, a small village located a 15-minute drive from Puerto Ayora, and passes through the agricultural zone, near the national park boundary, the Miconia Zone, and then goes to the fern and sedge zone. With clear weather, this area boasts beautiful scenes of rolling hills and extinct volcanic cones covered with grass and lush greenery all year round. Here you will visit the Twin Craters, which are two pit craters, as well as a local ranch where you can observe the giant tortoise of Santa Cruz Island in its natural habitat. From Santa Cruz, you can take flights back to Quito or Guayaquil. Safe travels!